A helicopter tour in Saint Lucia is a once in a lifetime opportunity. There’s no better way to enjoy the scenic views of the island’s jungles, hills, and famous Soufriere Volcano than watching the sights pass under you. A helicopter adventure tour is one of the fastest methods to move across the island. Avoid the timesink of getting lost in unfamiliar roads by taking to the skies with a local pilot who knows the land. With his expert knowledge, your pilot can help answer any questions you may have about the beautiful landscape, developments, and history. Our Saint Lucia taxi service can help you reach the helicopter port on time. Jump onto the ride of your life! The weather in Saint Lucia is rarely ever too hot, cold, or rainy, often making it a good time to fly. If there is evidence that the weather is too intense for a helicopter tour, we will contact you ahead of time. If you are worried about sickness from past airplane flying experience, a helicopter ride is much smoother than one that happens in a 747. Instances of sickness in Saint Lucia helicopter tours are far less likely than on a plane. There is no lack of wildlife on Saint Lucia island. Take the unique opportunity to view the colorful coral reefs from a bird’s eye view. The vibrant underwater canvas is an entirely different experience than seeing marine-life up close. The lush rainforests, picturesque fishing villages, and striking coastlines are can’t-miss sights for anyone visiting Saint Lucia. The Marigot Bay is a delectable sight to behold from above. Thanks to our temperate climate, you can take a Saint Lucia helicopter tour any time of the year. 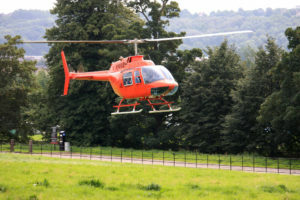 Helicopter pilots practice the appropriate safety measures so that children of all ages can hop in with their parents. Availability for helicopter tours is usually competitive. Business owners make reservations on a first-come, first-serve basis. Don’t miss out on your chance. Contact Dave Charles Taxi Service to connect with a local Saint Lucia expert who knows the lay of the land and will work with you to get to your helicopter tour safely and on time. Our taxi service is located near the Hewanorra International Airport. We can give you a first class greeting as soon as you take your first steps on Saint Lucia. Call us at 1-758-715-3573 or use our form online to book a taxi, tour, or custom island adventure!